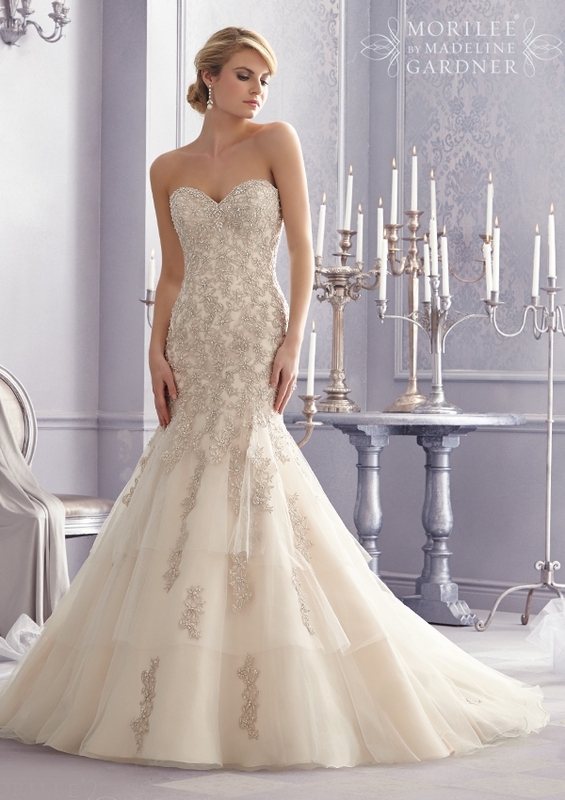 Are you shopping for Mori Lee Wedding Dresses UK? You’re in the right place at Naomi Hilton Bridal. Mori Lee have solidified themselves as experts in bridal attire and have expanded their designs to include luxurious collections for prom, quinceanera, homecoming, parties, social events and other special occasions. Mori Lee Wedding Dresses have a superb collection for 2017 which cements them at the top of the market for UK wedding dresses. Naomi Hilton are one of the premier stockists of Mori Lee Wedding Dresses UK. Being an authorised stockist, we carry a huge range of samples from the Mori Lee brand in sizes 8 – 26 on our rails. Our consultants are fully trained in all aspects of the brand and can advise on fit, colours and styles from Mori Lee. Whether you are looking for something elaborate or simple, reserved or bold, Mori Lee’s contemporary, award-winning wedding dresses and gowns suit every age and style. At the top of the tree for over 40 years, you are sure to be thrilled with the quality and design of wedding dresses from this premier USA design house. Contact Naomi Hilton Bridal to find out more about Mori Lee Wedding Dresses from a premier UK stockist.